4 Pack. This ball return is the newest accessory and lifetime's lineup. The ball return is orange as opposed to the gray model 0501. 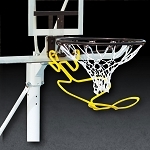 This bar return is much stronger and more simple to attach to the backboard and rim. It goes on in just a few seconds. 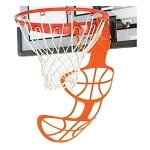 This product is great for teenagers and other basketball players who spend a lot of time practicing alone and are tired of chasing the ball. It assists the shooter in getting into a productive rhythm. Spend More Time Shooting and Less Time Chasing the Ball! I got the older style in the gray color for years and years. This one is definitely an upgrade. The ramp is solid and orange color is sporty. I also like how they integrated a basketball picture into the ramp. Q: What material is this made of? A: This is made of Plastic. Q: Will this ball return work with a mammoth net? A: Yes, it will definitely work. A: Yes, it will work on that. 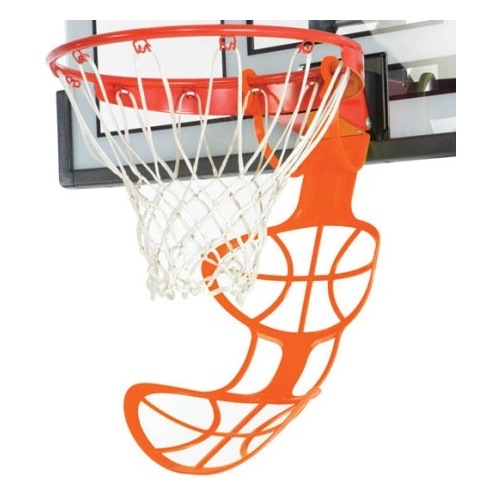 Q: will this product work with the Goalsetter basketball hoop break away rim? A: Unfortunately, it will not work with Goalsetter. For the bad news. Might I suggest model 12347 as that works with any system and any brand? A: Yes, this does work with goalsettter basketball system. A: This model 90483 is the newest offering in lifetime accessories with the new and improved design over the previous model 0501. 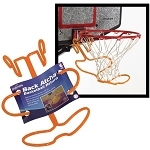 It is much quicker to attach to the rim, sports a bright orange color, and is stronger. A: Model 90483 is the newer design. It is more firm and stable. It works with every lifetime basketball system, but does not work with every Spalding or goalsetter system. Q: Can I use 90483 while playing games? A: No, that is not recommended. 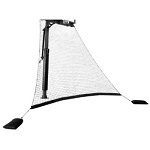 It hangs down so far that someone could run into it during a game. It's perfect for practicing and shooting around, but not actual basketball games. Q: Will the ball return fade over time? A: It will not fade over time as it has ultraviolet protection built into the chemical makeup. The ball return is plastic which also means it will never rust. There are currently no videos at this time for the model press 90483. If you own this basketball return and would like to submit a video please contact us. Dimensions: 29" x 15" x 10"